Windridge Estates - St. Louis Equity Fund, Inc.
Windridge Estates consists of 40 two- and three-bedroom apartment units in three garden-style buildings. All of the units are rent-restricted under the Low Income Housing Tax Credit program and one is set aside to provide transitional occupancy for a homeless family. Twenty-four units are available to households earning 50% or less of the area median income and the remaining 16 units are available to households earning 60% or less of the area median income. 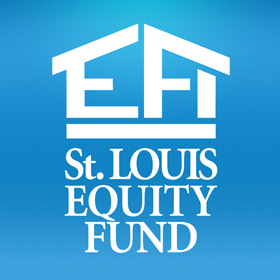 SLEF INVESTMENT FUND: St. Louis Equity Fund 2017 L.L.C.